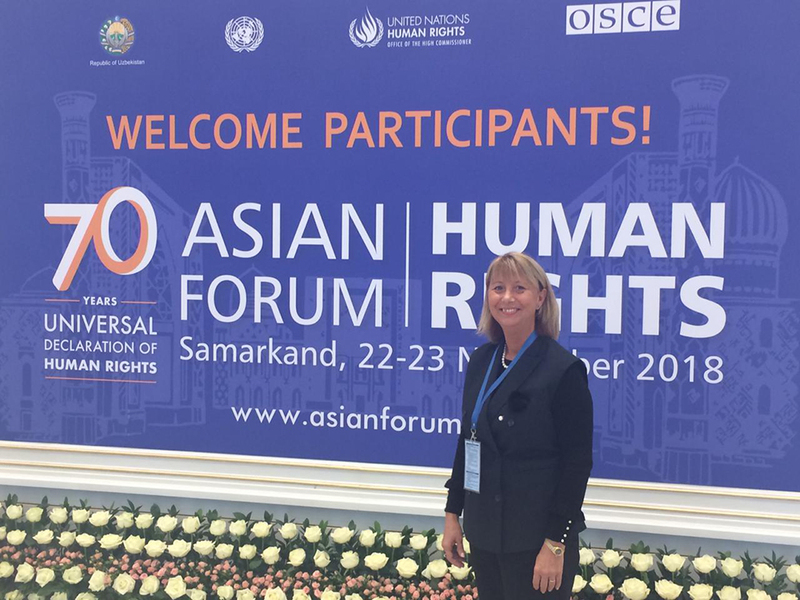 Samarkand – Dignity, protection and the promotion of the human rights of all migrants, at all stages of their journeys, were stressed by IOM Regional Director Argentina Szabados at the inaugural Asian Human Rights conference which closes today (23/11) in Samarkand, Uzbekistan. “We must also reaffirm our commitment to eliminate all forms of discrimination, including racism, xenophobia and intolerance against migrants and their families,” she said. The event, convened by the Government of Uzbekistan, reaffirmed the commitment to the Universal Declaration of Human Rights, which is 70 years old this year, and its importance in the attainment of the 2030 Agenda for Sustainable Development in modern-day Asia. Szabados congratulated the Government of Uzbekistan for submitting a request for the country to become IOM’s 173rd Member State. She further commended the government and the United Nations system in Uzbekistan for successfully completing a national plan on implementation of the UN Sustainable Development Goals. 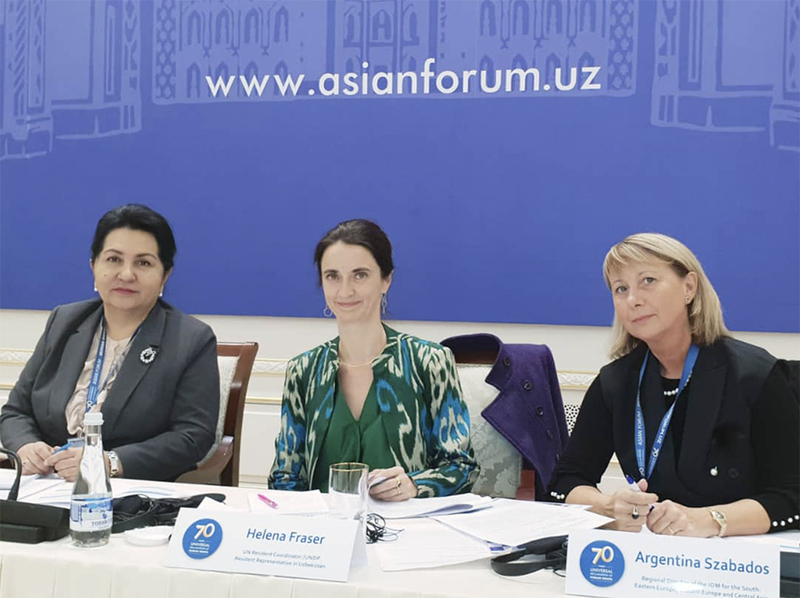 (L to R) Uzbekistan’s Deputy Prime Minister Tanzila Narbaeva, UN Resident Coordinator Helen Fraser, and IOM Regional Director Argentina Szabados at the first Asian Human Rights Forum in Samarkand yesterday.